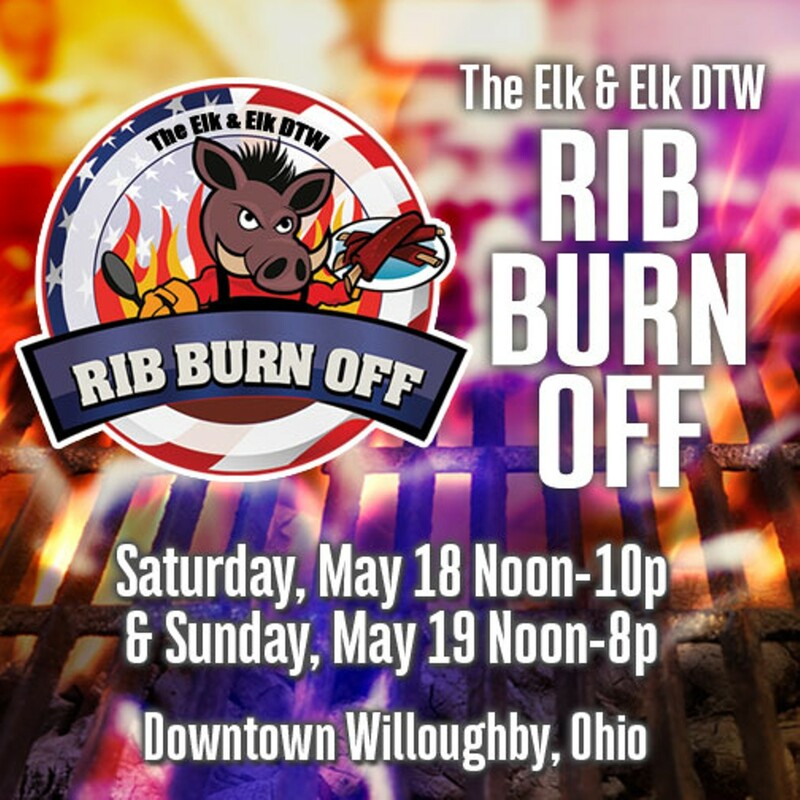 The Elk & Elk - DTW Rib Burn Off is the biggest and most anticipated event to take place in Willoughby. Drawing thousands of people from all over Northeast Ohio, this two-day event is going to rock this town again and be even better than last year’s record-breaking success! Erie Street will be closed to all traffic for both days. There will be live music, happening on 3 different stages, plus vendors and the Meijers' Kids zone. Look for beer & craft cocktails on Erie Street, and, of course, ribs from participating downtown Willoughby restaurants & national vendors.